Blogging has become a very popular topic for people these days. Almost everyone out there has a blog of some sort. There are blogs for almost all types of subjects. Blogs on cooking, dieting and weight loss, fitness, personal finance, are just a few of the types of blogs that are out there. 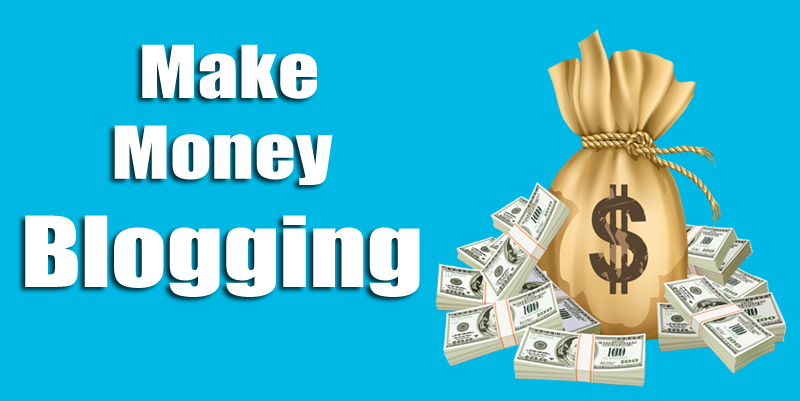 You might be wondering how is it possible to make money blogging online? Maybe you have never written a blog or created a website before. Or maybe you just started to build your blog and are now wondering how you can actually monetize it and make some money out of it. In this post, I am going to go over the steps to follow for you to learn how to make money blogging online. If you have never set up a blog before, you are going to need a Blogging platform to start with. A blogging platform or CMS is where you are going to be designing and writing your blog content. The most popular CMS out there is WordPress. WordPress is what most bloggers use online. It’s highly customizable and you can change the look and design of each blog very easily. To change the appearance of your blog, you would simply need to change the theme. There are some common themes that are already included when you set up and install WordPress. Other premium themes are also available online to download and purchase. Some people may want a more basic theme while others may go for more advanced designs. Developers are constantly releasing new theme designs so you will never run out of options. What type of content will you be writing and blogging about? The niche that you pick is going to be very important. Pick a topic that no one has an interest in and your blog may never get off the ground in the first place. You will want to pick a topic that you enjoy and are passionate about, but also one that other people will be interested in. For example, let’s say you decide to do a blog about dieting and weight loss. Is this a good topic? If you think about it, dieting and weight loss are evergreen niches. People have always been interested in learning how to diet and lose weight. Not only that, but people will continue and always be interested in dieting and weight loss. It is one of those topics that never goes out of style. A good way to decide on a niche is to first do some keyword research. Keyword Research involves researching keywords related to your niche and blog topic. When you do your keyword research, you will be evaluating which keywords are commonly searched for on the popular search engines like Google, Bing, and Yahoo. You will want to pick out keywords that have enough search volume, but also aren’t too difficult or competitive to rank for. After all, your goal is going to be to rank your blog posts in the search engines for the selected keywords that you choose. For keyword research, you will need a tool to help you with this. Long Tail Pro is a popular keyword research tool that will help you in identifying long tail keywords without too much competition so you can quickly and efficiently rank them in the search engines. By now, you should have identified the niche of your blog and decided what keywords you want to start writing your blog posts about. Next, you are going to need a domain name and hosting. For hosting, you are going to need a hosting provider. Dreamhost and Bluehost are two popular hosting companies. You can get either regular hosting or VPS hosting. Now it is time for you to start building your blog! Start writing about the niche topic you selected. Write and publish your blog posts. Continue to write and publish on a consistent basis. Every week you should be posting at least 1-2 blog posts. The more valuable content you create and share, the more traffic and visitors you will receive to your blog. Get involved in your blog posts and demonstrate the knowledge that you have for the topics you are writing about. Use the keywords you researched earlier during your keyword research to find out what topics your blog posts should be written about. You have your blog set up. You have been publishing content on a regular basis and have a whole bunch of unique and valuable content. You are helping your readers with the information you are providing them. 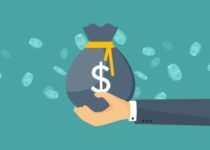 How can your new blog now start making some money? Affiliate Programs – you can find affiliate products that are relevant to your niche and post links to these on your blog posts. For example, say you write a blog post about how important diet and nutrition is to a healthy lifestyle. You can then include an eBook product that discusses how to properly diet and lose weight the right way. The eBook become a solution to the problem you are trying to solve. Ads – you can join ad networks such as Google Adsense. An ad network will allow you to place advertisements on your website. When your visitors click on these ads, you will make money on each click. Your Own eBooks and Courses – you can create your own content and sell this to your readers. Since you are already writing a bunch of blog posts and doing research on the topics you are writing about, your knowledge and expertise in these topics will only improve and allow you to write out even more valuable content. Package great content into an eBook and offer this to your visitors. Once you have your blog up and running, are attracting visitors to your website with great content you are providing, you are going to want to drive more traffic to your blog. You can either do SEO known as search engine optimization or you can invest in paid advertising. 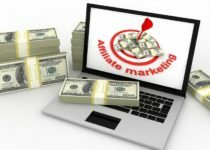 You can continue to monetize your blog with affiliate marketing. 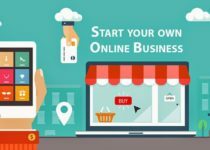 To learn a complete system for affiliate marketing, you have two options. I would recommend you check out Affilorama and Super Affiliate System. Affilorama provides complete training on how to learn affiliate marketing, which will allow you to successfully make money from the blog you create. Super Affiliate System teaches you how to drive traffic quickly through paid advertising. You can check out the reviews of these programs on this site.